NatureScapes provides a full range of landscaping services, from planting a single tree, to renovating your entire backyard, to creating an entirely custom landscaping experience for your brand new Colorado home. 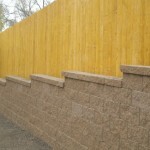 We build retaining walls and fences of all kinds, you name it! We offer custom built gas fire pits, patios in concrete or pavers, pathways, and a wide variety of veneers. NatureScapes builds custom water features, from meandering streams and ponds to magnificent waterfalls – if you can imagine it, we can build it! We also install irrigation and automatic sprinkler systems. Call NatureScapes for all your custom Colorado Springs landscaping needs. Thanks to Jack and his team, our small backyard has been transformed into a beautiful sanctuary. Our front yard is also vastly improved. My husband and I really enjoyed working with Jack because he has a strong design sense. Jesus and Juan installed our gorgeous patio and worked with us to make it what we envisioned. Jack and his amazing team transformed our backyard. All employees were friendly, professional and helpful. I truly felt Jack was our advocate and his goal was to have the project done right rather than quickly. I positively would do business with them again and would recommend them without hesitation! Fantastic work! We are so pleased. Everything about our experience was awesome from Jack coming out and doing the estimate to the work that was completed right on schedule. Our stone wall and steps look amazing! Highly recommended these guys. Naturescapes did a great job landscaping our backyard. They really listened to what I wanted and also provided their own ideas, which I liked. They paid close attention to detail and worked efficiently. Everyday during the week-long project, they arrived on time and cleaned up daily. Naturescapes turned our dream backyard into a reality.